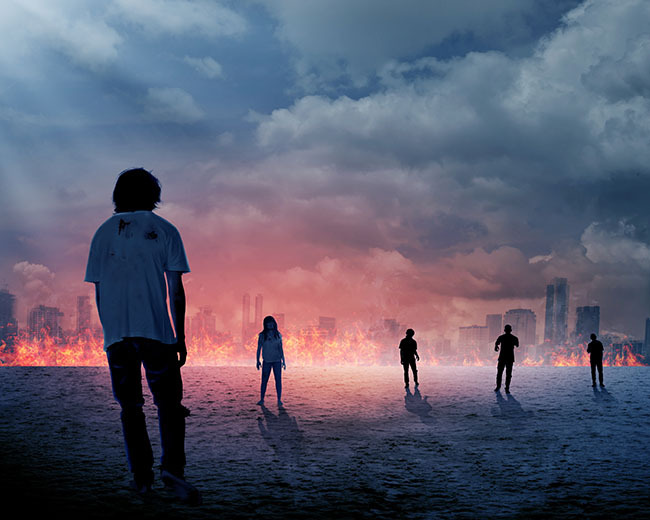 Bring your leads back from the dead with an engaging autoresponder. 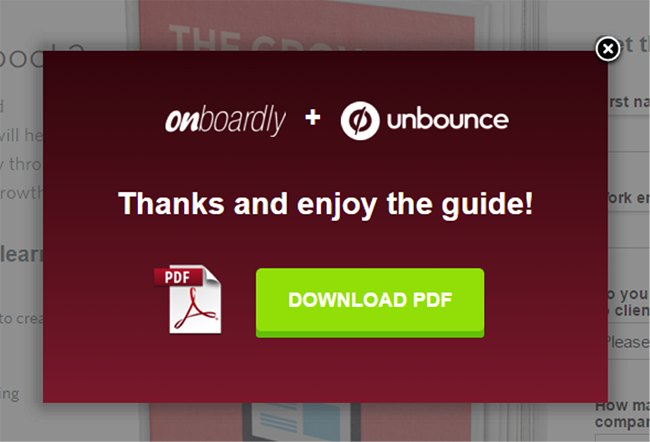 There’s no shortage of top-notch online content aimed at optimizing your landing pages. Ultimate Guides, Best Practices and Perfect Anatomies abound. Unfortunately, the vast majority of all that amazing content ignores what happens immediately after your visitor converts… and that, ladies and gentlemen, is where your landing pages go to die. In other words, unless you have a plan for what happens after someone signs up or says “Yes,” all the conversion momentum you bled to create — not to mention the ripest opportunity you have to engage — might be for nothing. This means crafting an authentic, engaging autoresponder — whether that’s a confirmation email, download link, or even just a friendly “Thanks for signing up” — in a way that bonds you to your prospects right from the jump. 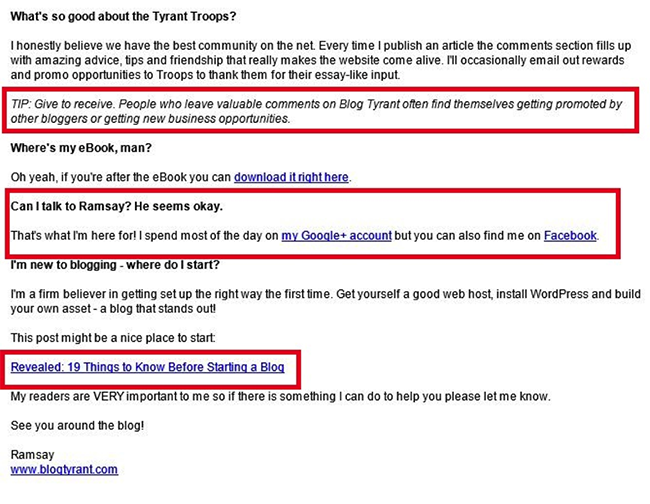 To do that, let’s take a look at four proven tactics guaranteed to keep your landing page alive… after a lead opts in. Here’s the brutal truth: people don’t sign up to your list because they like you nor because they want to hear more about you and your company’s awesome products. No, they sign up because they want something you’re offering… to them, for them, to benefit them. That offer can run the gamut from an ebook to an industry report to a free coaching session to a simple ecommerce discount. Whatever your offer is … the worst thing you can do after someone signs up is get in the way of letting them have it. That sounds obvious, but even enterprise-level organizations can make an absolute trainwreck of the confirmation process. 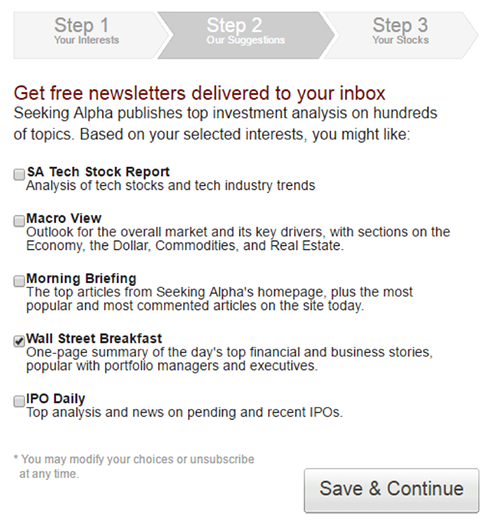 Take, for example, investment platform Seeking Alpha. 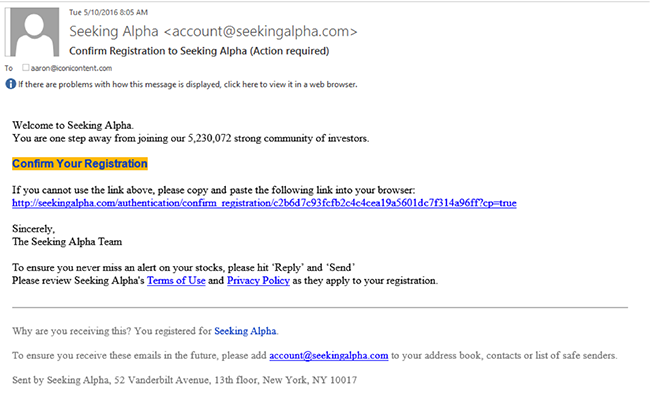 Two weeks ago, I registered for a free account at Seeking Alpha. I’d been researching Lowe’s Home Improvement recent use of Facebook ads and found what looked to be a primary-source goldmine: Lowe’s Companies’ (LOW) CEO Robert Niblock on Q3 2015 Results – Earnings Call Transcript. And that’s when the nightmare began. 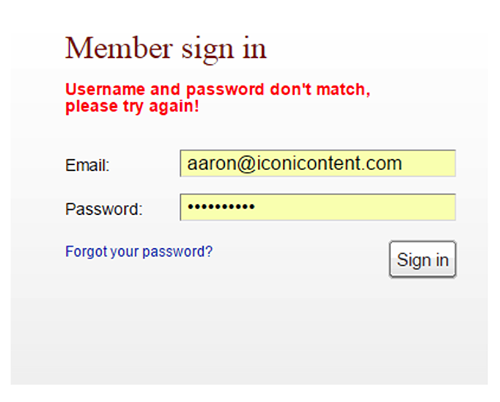 Thinking that I’d already created an account by giving them my email and a password, I clicked “log in,” was redirect to the “Member sign in page” and filled out the fields. 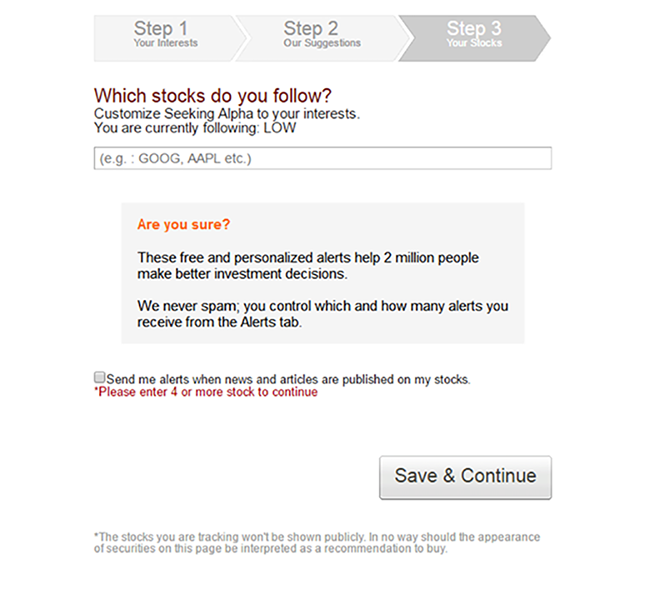 After being forced to answer a series of segmentation questions, opt in to an additional list and supply four or more stocks to continue, I was sure clicking “Save & Continue” would finally send me to page three. But once again … no. But oh! How I wanted page three. So I plugged in my phone number, clicked “Text me a link” earnestly hoping that finally I’d be given what I’d asked for. Tragically — and you probably saw this coming — what I got next was … nothing. 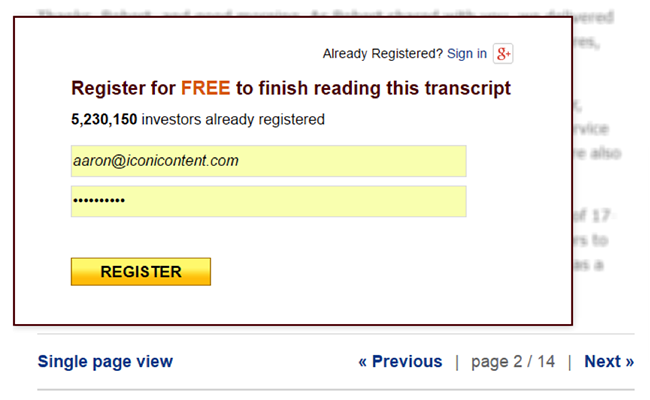 No redirect, no thank you page, no article, no link, no page three. Nothing. Just a dead end screen with nowhere to go next. 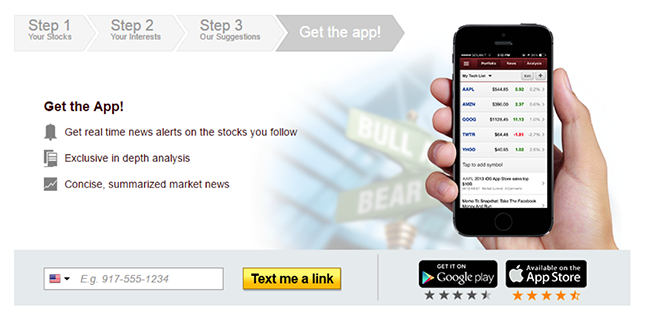 In order to ultimately reach page three, I had to go back to the login page and walk through the entire search process. All told, it took ten separate screens to go from page two to page three of the piece I’d originally asked for. People value one thing above all others: time. What’s more… people respect people who respect their time. 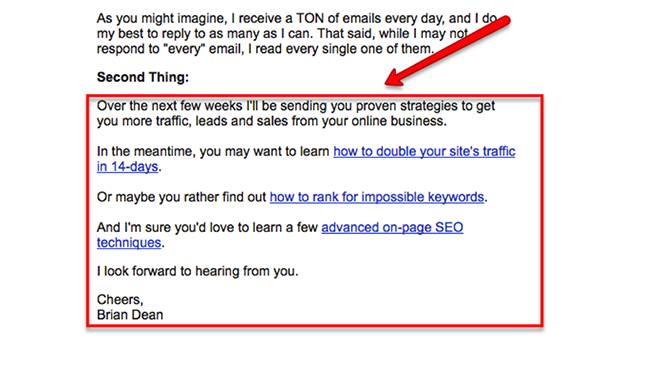 When someone signs up for your email list, all they want is to get what they asked for. Boom — just like that, I’m in. Do not waste your prospects’ valuable time with useless emails, additional questions, or by making them jump through hoops. Just give ‘em what they asked for. 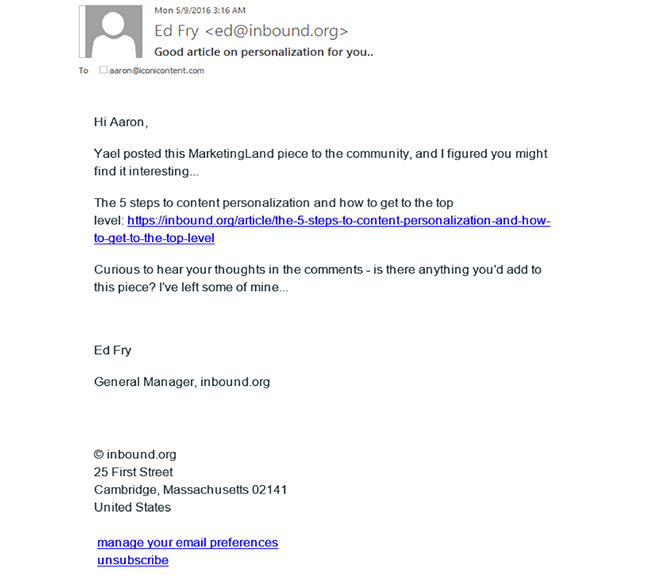 Optimize Your Email Automation & Boost Your Conversions! 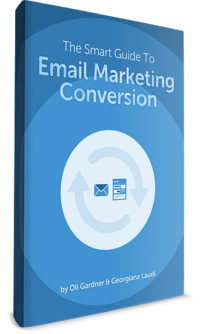 Get a FREE copy of The Smart Guide To Email Marketing Conversion. Just like the first tactic, our second tactic should be obvious. Often confirmation emails and autoresponders are brutally humdrum. If someone takes the time to customize their autoresponder at all, the conversations are blatantly one sided. Why? Because we’ve forgotten that behind every computer screen is a real, live human being. As a result, you and I can differentiate a personal email from an autoresponder a thousand miles away. That, however, shouldn’t be the case. Done right, you can not only make someone feel like they’re talking to another person… you can even get them to respond. Think that’s impossible? It’s not. In fact, that’s exactly what happened to Oli Gardner when he signed up for Sujan Patel’s ebook. 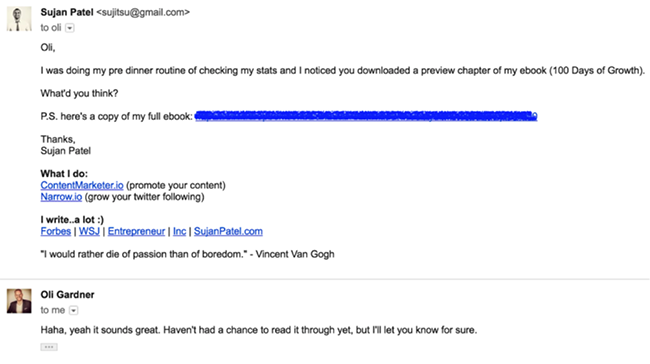 “Two days ago I downloaded an ebook by Sujan Patel. … And that’s when the trickery began, because I got an email, an automated email that was so well crafted that I thought it was real. He made it sound like he recognized me. 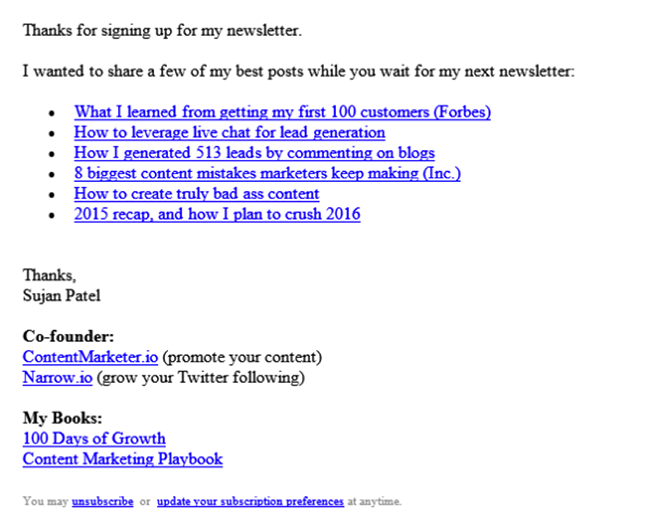 “First, of the people who subscribe to the blog, 6.6% click on a link to one of my two software products — Narrow.io or ContentMarketer.io — or on one of my two books. And 39% of those clicks eventually convert into either a product trial or a book purchase. 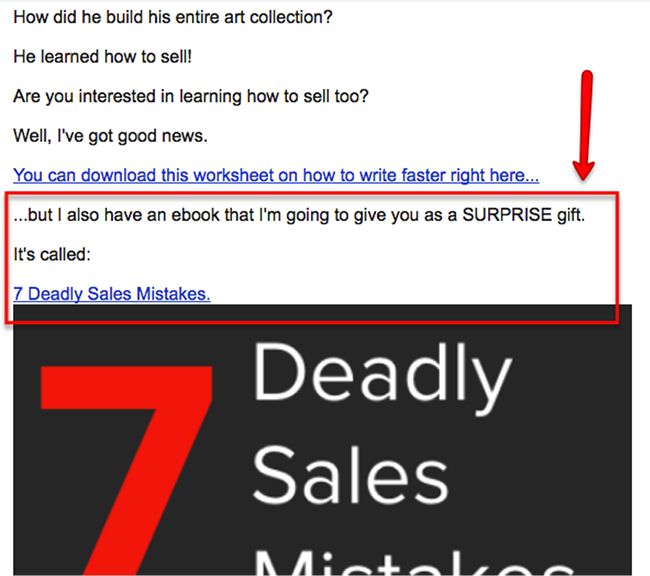 Second, of those who preview my ebook, 12% purchase the full book and an additional 3% start a trial of either Narrow.io or ContentMarketer.io. 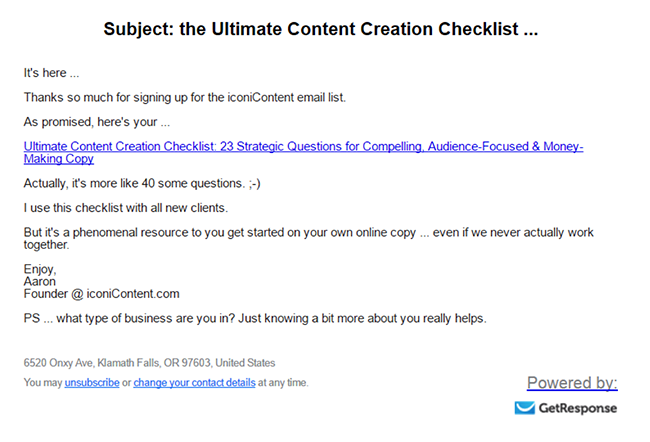 Bear in mind, those big numbers are all generated by simple and conversational emails like the one above. To start your own real human conversations, keep these two principles in mind. Don’t make the mistake of trying to impress your new contact by using jargon-heavy language, formal introductions, or corporate mumbo-jumbo. Simply read your emails out loud to yourself and if they don’t sound like one human talking to another, go back to the drawing board until they do. Most notably, use short words, short sentences, short paragraphs and (of course) short emails. Deep personalization — especially for ecommerce — includes a host of advanced segmentation features, customer and lead tagging, product-offer coordination, upselling, cart-abandonment emails and even off-site strategies like retargeting. All that can easily make your head spin. For your first email, don’t over think it. Do not underestimate the power of a good question. Because the human brain is hardwired to automatically engage with a question. Neurologically speaking, this is called “The Zeigarnik Effect,” named for the Russian psychologist who discovered it. 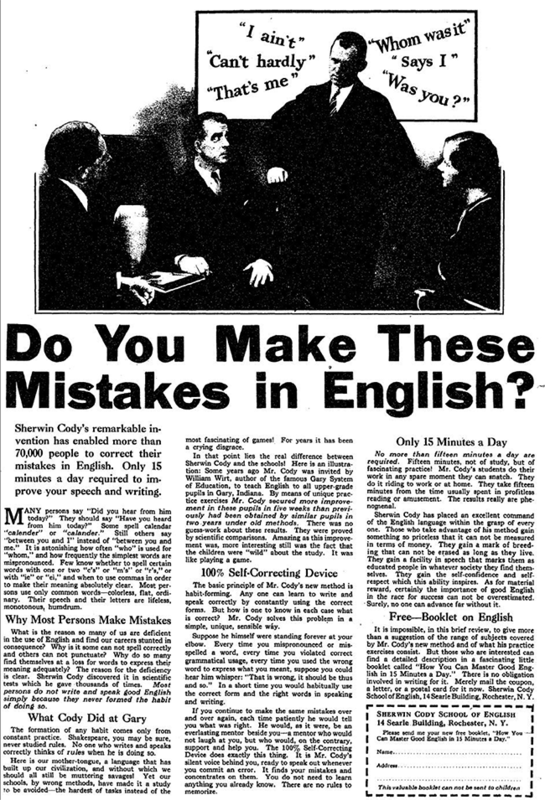 Rather than insulting its audience by pointing out their deficiencies, Maxwell Sackheim’s advertisement sparked curiosity and generated direct responses for forty years. Of course, the theory and that example are more than a generation old. So do questions still work? The presence of any type of punctuation mark increased open rates by 9 percent. And can you guess the most conversion-generating piece of punctuation? 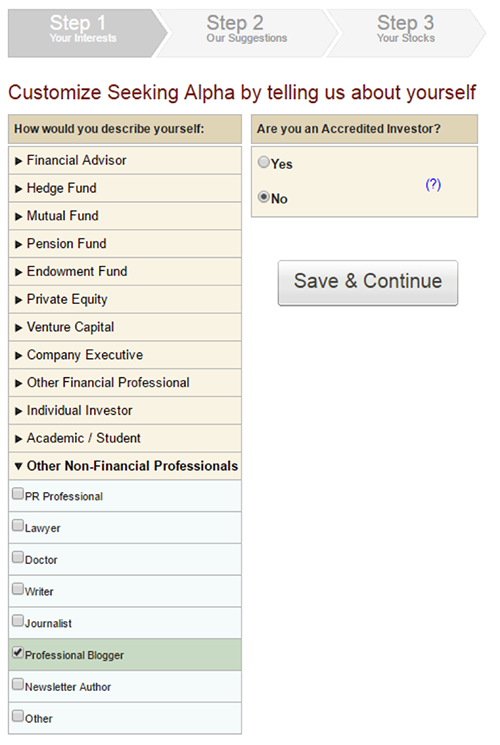 Question marks are particularly effective at engaging recipients. In fact, the study found subject lines with question marks have open rates 44 percent greater than those with exclamation points. 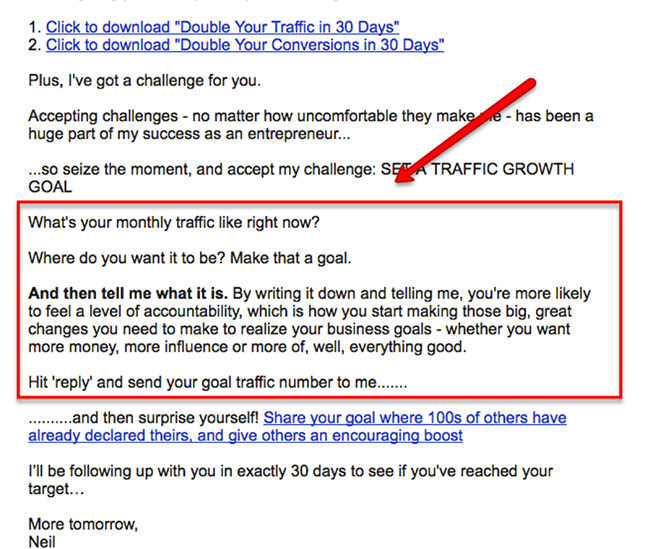 The application of this principle to your autoresponder should be clear: add a question. 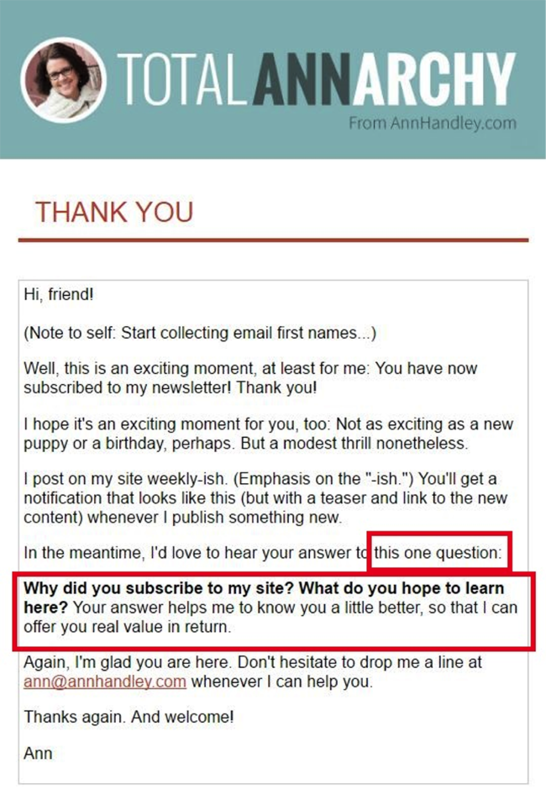 However, a better application of this tactic is to build your very first email around a single, driving question that matters to your audience … not you. And do you know what Ann did? 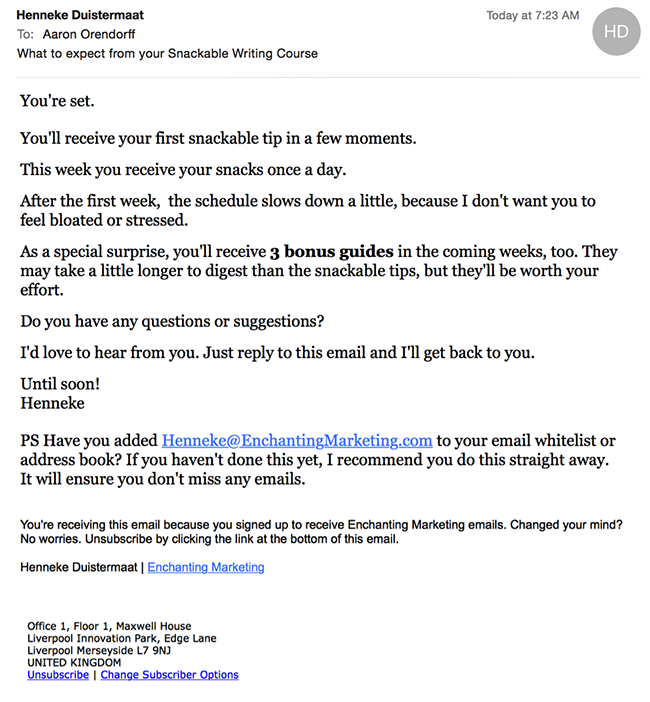 “When I first launched AnnHandley.com’s email subscription option, I used to thank new signups, as I do now. But the question was different: I used to ask them to share with me the most innovative or interesting bit of content they’d seen lately. I was looking for something that engaged them… or that they found surprising. Because, I explained, I was always looking for stellar content examples. About 10% of those who subscribed actually responded with a content example. Over time I realized that the response rate was pitifully low, especially given my approachable vibe and voice. It dawned on me that maybe that was because my note was essentially about ME — tell me what you like, because I am always looking for good example. It was not about the subscriber. It was not about what I could do for them. So I rewrote the Welcome email to be about the subscriber and not about me. I asked very basic questions: What are you doing here? What do you hope to learn? Yep… it sure is. And it all starts with a question. Admit it. You love surprises. After all, who doesn’t? Surprise parties, unexpected gifts, out-of-the-blue good news. We all love that feeling of getting extra value in our lives, especially when we don’t see it coming. The only secret to success — regardless of the industry — isn’t really a secret at all: don’t just add value… add more value than anyone else. What’s true for the world at large is also true of your subscribers. This fourth tactic — provide unexpected value — increases the loyalty of your new leads, builds rapport and trust and leans hard on the persuasive principle of reciprocity all by exceeding their expectations. For instance, if people signed up to download a free SEO report, you could easily offer a free one-page checklist or website audit as a way of showing your gratitude. On the other hand, if they signed up to learn more about your nutrition coaching business, you could surprise them by giving away a detailed list of easy recipes to help them lose weight. The point is: they didn’t expect those things and because of that element of surprise, what might otherwise be just another lead magnet provides far more value. What do all these first-contact autoresponders have in common? They all provide unexpected value… and you should do the same. Sure, Ultimate Guides, Best Practices and Perfect Anatomies abound. And it’s wise to optimize your on-page elements for maximum conversions. But, that doesn’t mean you can overlook what’s next: after the page. 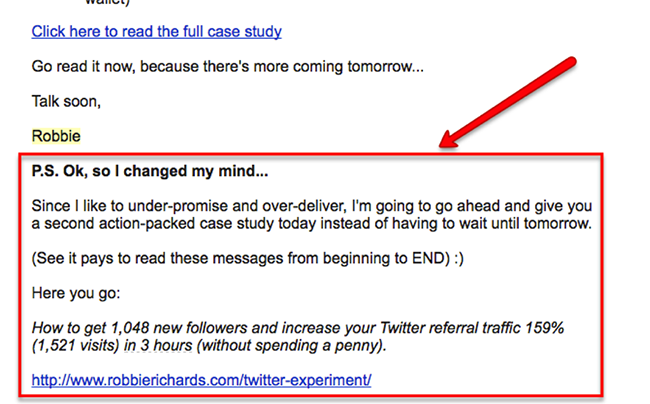 Got a favorite autoresponder tip? Be sure to share it in the comments… especially if it tricked you into writing back.